LVN is Liven's network currency currently used by over 400,000 users at over 1,000 venues in Australia. The next evolution of LVN is to be launched as a blockchain utility token. Leading up to LVN's launch on the Ethereum blockchain, there is 30% of the total supply available in a Token Sale. Following the Token Sale, LVN will be generated on the Ethereum blockchain in what is known as a Token Generation Event (TGE). Shortly after the TGE, LVN Tokens will be distributed to those who successfully purchased LVN allocation. 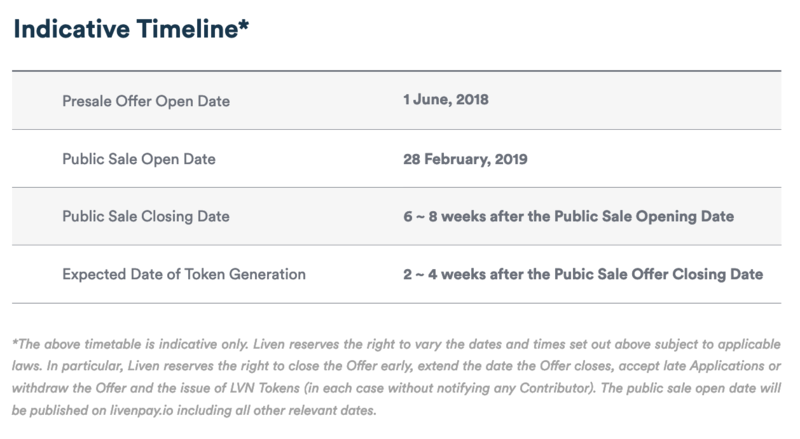 Early purchase of LVN tokens is available for early contributors in the LVN Token Sale. The total allocation for sale is 3billion tokens (30% of the total supply). LVN's sale price is set at USD $0.015, contributions are accepted in Cryptocurrency ($ETH) and regular Fiat Currency ($AUD, $USD, other) - tranche and referral bonuses are available. To purchase LVN, register and login to the Token Sale Dashboard - For more information, read this help-desk article. After completion of the main sale, LVN Tokens will be generated through an ERC-20 Ethereum Smart-contract (Github here - Verified by Hosho here). 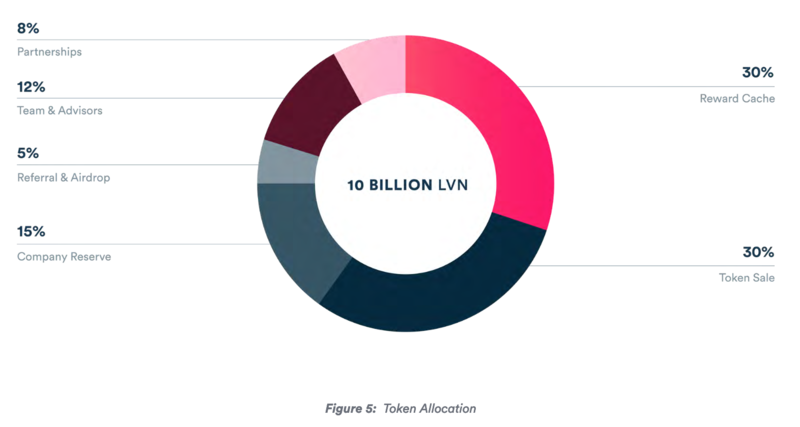 To see full distribution of the 10 billion LVN tokens, please see Section 6 "Token Generation & Sale" of LivenPay Whitepaper. Please note to be distributed LVN tokens, you must have passed our Know Your Client & Anti-money Laundering (KYC AML) check at the livenpay.io Token Sale Dashboard. If you have any questions or queries, look further into this help-desk collection, ask the team in the LivenPay Community Telegram or see the livenpay.io website and LivenPay Whitepaper.